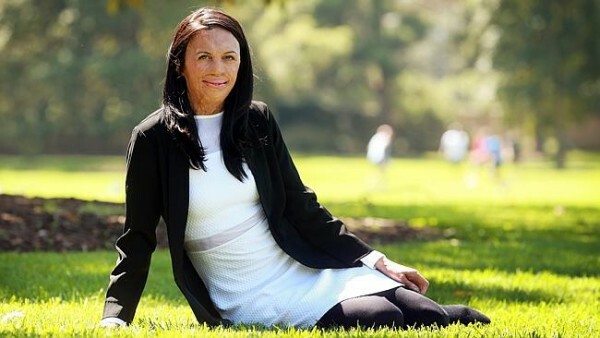 If you aren’t familiar with Aussie woman Turia Pitt, you can do a bit of catch-up homework by reading her story here. She is an inspirational person whose near-death experience has allowed her to be a beacon of hope for many others around the world. In September 2011 Turia was running an Ultra Marathon in the harsh Australian outback area of Western Australia when she was caught in a raging bushfire. She had nowhere to escape and suffered burns to 65% of her body. She would’ve died, had it not been for a heroic helicopter pilot who dared to go into the fire and rescue the courageous young woman. Today her life and that experience has taken her on a journey she never could have expected. The mining engineer has now become a motivational speaker. In an interview with the Australian version of ’60 Minutes’ in August 2013 Turia did something courageous that most burn victims would hesitate to do. Up until that point she had been wearing pressure bandages for her burns all over her body, including her face. She had not gone out in public without it. During the taped interview, she removed her mask which became a physical and metaphorical removal of the cultural stigma that keeps so many of us women under wraps. Since that interview, her story has been told all around the world and continues to inspire. 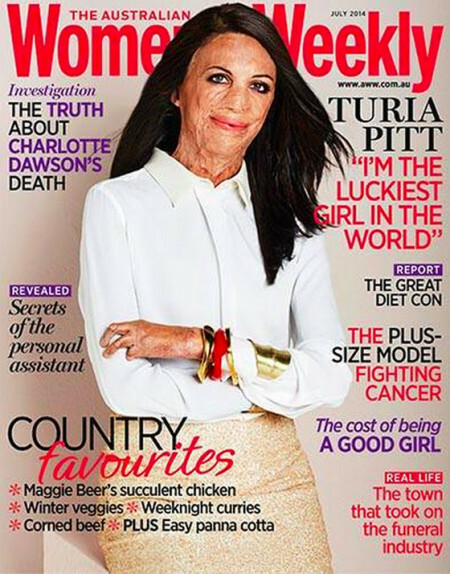 Australian Women’s Weekly Magazine just made her their cover girl for the July 2014 issue, celebrating impressive Australian women in the country. Turia was chosen to be one of the judging panel for the magazine’s annual Women of the Future scholarship awards. The editor-in-chief of the magazine said when it came time to picking who out of the group should be on the cover, there was no doubt in her mind it should be Turia. “When Turia was photographed as part of our Women of the Future judging panel among a group of similarly impressive Australian women, it was clear from the moment she sat in front of the camera that the July cover had to belong to her. Any attempt to describe the magic and beauty of Turia seems to get lost in platitudes or clichés. Yet I have never met a more remarkable person,” she said. Since recovering from her horrific accident 4 years ago, Turia hasn’t exactly been resting on her laurels or using her misfortune as a reason to take it easy in life. Aside from being a motivational speaker, the 26 year old has ridden a bicycle from Sydney to Uluru for charity, swum a 20 kilometre race in Western Australia’s Lake Argyle and walked the Great Wall of China – all to raise funds for the reconstructive surgery charity, Interplast. You gotta give props to a woman who actively chose to go back to the very field that changed her life forever. Her boyfriend Michael Hoskins, who stuck by her side through her recovery process continues to support his amazing girlfriend today. Aside from all these courageous things, because she has now become a magazine cover girl, and one of Australia’s widely circulated women’s magazines at that, she represents yet another major achievement: changing the (literal) face of beauty. 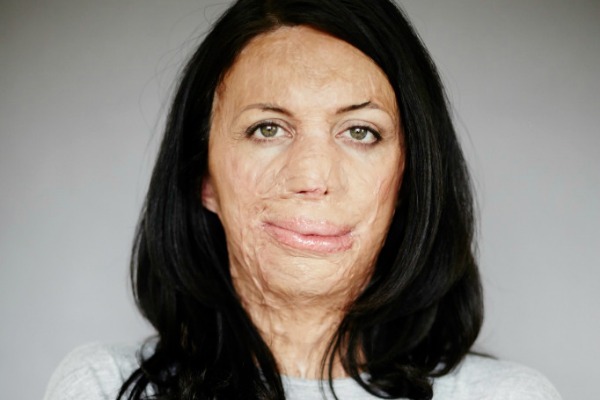 Her face has added a vital voice to the diversity conversation, allowing other burn victims to know that the way they look IS considered beautiful by the media. Turia said she was humbled by the opportunity to show confidence in a different way. In a time when women are pushing for greater representation of all types of women, Turia’s cover sends a clear message that the media are listening, and are willing to go beyond the boundaries of what they know will be a sure-seller. A decade or two ago it was supermodels. The last 5 or so years it has been celebrities. Lately we are starting to see a trend slowly making its mark where everyday women are taking back the power and turning the tables on the industries that have for too long dictated what we should be valuing. 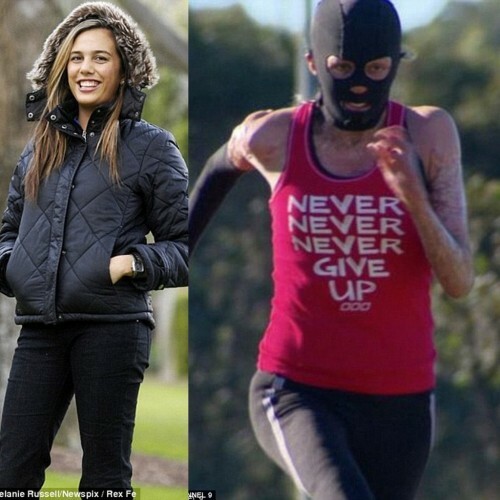 Putting an inspirational young woman like Turia Pitt whose face is visibly scarred also lets the younger generation know that beauty should not be valued in merely a physical manner. It is about who you are as a person and what you do with your life that makes all the difference. Linda Hansen, the executive director of Burns Recovered Support Group in Missouri says Turia’s face on the cover shows beauty and strength. “To feature this woman in such a prominent way is about how her gift is not about the scars on her face. That doesn’t make her any less of a person. My guess is it makes her more of a person,” she told Yahoo. Turia may call herself “the luckiest girl alive” but it is us who benefit from having a powerful female presence like hers in the media. “We all have that inner strength, but rarely do we get the chance to see how incredible we truly are,” Pitt said to the Sydney Morning Herald. While there are a few critics out there calling the move “brave” and wondering whether this issue will actually sell as highly as they hope, the fact that it is getting attention of pretty much all the big women’s lifestyle sites around the world is a good indicator of how all of us outside Australia would jump at the chance to buy a copy if we weren’t so geographically challenged.